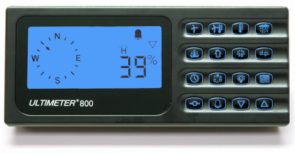 The sensor instrument is an Ultimeter Weather Station 800. The Weather Station consists of a keyboard/display unit (which houses the embedded electronics), an anemometer and a temperature probe. This line of Weather Stations are professional grade weather instruments. The display unit has a serial (to USB-universal serial bus) connection to send the data to a personal computer. Shown at right is one (1) of the three (3) Ultimeter models, the 100, 800 or 2100. 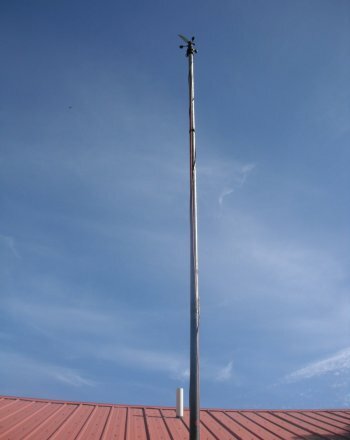 The anemometer is mounted at a height of 60 feet. 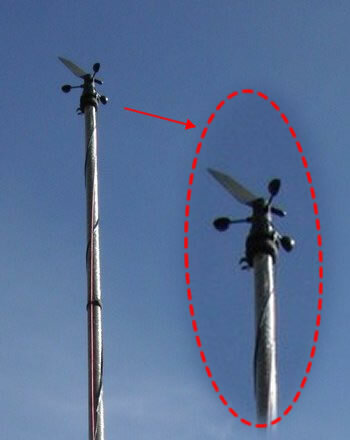 Anemometer installed on sailboat mast and has good exposure for all directions (photos below). Winds from the SE quadrant are reading better as Kevin made recent sensor adjustment (June 25). Readings from this SE quadrant will be monitored as Wind Power hassome tall trees but sensor appears to be getting cleaner wind. The anemometer will be raised 15 feet more when a new mount is manufactured and installed. If you are interested in a Weather Station, the Ultimeter is available from Peet Brothers (peetbros.com). The Weather Center uses the Ultimeter 800. We would recommend the Ultimeter 2100, as it has barometric pressure and most features, while the Ultimeter 100 has just the basic wind and temperature. The local PC software communicates with the Ultimeter 800 via the serial port. Records are continuously sent from the Weather Station to the PC. 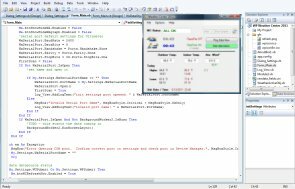 The PC analyzes the data stream and converts values for current observations. The software also calculates averages (ie: 1 minute or 5 minute) for wind speed and direction. The data is sent (via an http web request) to an Internet web server, which is running the Weather Center web application that you are currently viewing. The Data is sent from PC to web server at 1 minute intervals at a minimum, but the update frequency increases to every 15 seconds when windy. These dynamic updates provide better data when conditions get better. Data is optionally sent to a WeatherUnderground site on the 1/4 hour, here is the link. 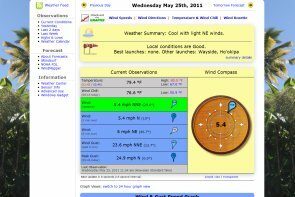 At the web server, the Weather Center site manages the database tables that store the recorded observations, generates the web pages and the graphs within. The site application also provides the logic for analyzing the data. Prior to March 13, 2019, the awesome award-winning graphs were graciously generated by Google Image Charts for 8 years. The Image Chart service ended on March 14, 2019.